Dark crimson, it showcases clone 337 opening with blackberry, plum, toffee and cigar aromas. 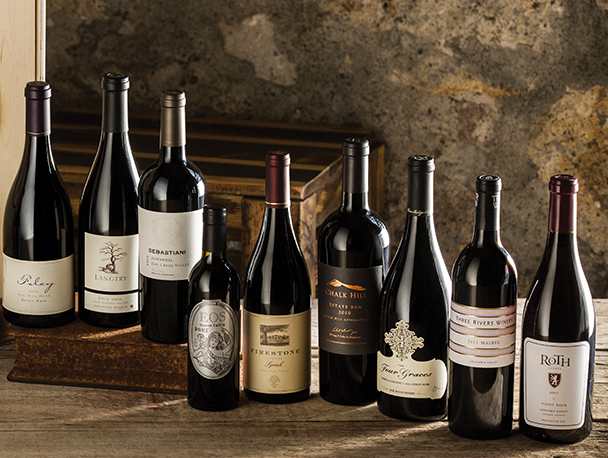 Rich fruit flavors true to its Alexander Valley origins, while the Petit Verdot lends ripe cranberry and raspberry. Ripe cherry, dark chocolate and bright currant notes with brambly raspberry and ripe plum give way to rich mocha and a touch of vanilla, highlighting the ripe fruit and creating a long-lasting and enjoyable finish. Sautéed and fresh pear and other fruit aromas fill the room with the first pop of the cork, beautifully balanced with toasty integrated oak. Rich and oily mouthfeel gives the impression of great weight despite modest alcohol. Swarming with aromas of blackberry, plum and marionberry. Clone 337 Cab lends brooding qualities on the palate with tobacco and chocolate balancing out the ripe berry notes. An exceptional final wine. Garnet in color, aromas of ripe dark plum and cherry lead into the palate of raspberry, clove and nutmeg. A hint of vanilla and cocoa mingle with structured tannins on the long finish. Sultry and spicy characteristics. Ruby in color with aromas of dried cranberry and white pepper encased in cocoa. Dark fruit and cloves accompany influences of smoky oak with a lingering coating sweetness.